Bucharest is not only the capital of Romania, but it is also the largest city in the country. You will find the city in the southeastern part of the nation along the Dâmbovița River banks. There are countless sites of historical importance which can be found within the city and which have attracted many visitors to the city over the years. The city of Braşov is the eighth largest in the nation and is home to almost a quarter of a million people. It is also considered to be part of the famous Transylvania region of Romania that has inspired countless legends over the centuries. Braşov is also home to the annual Golden Stag International Music Festival. 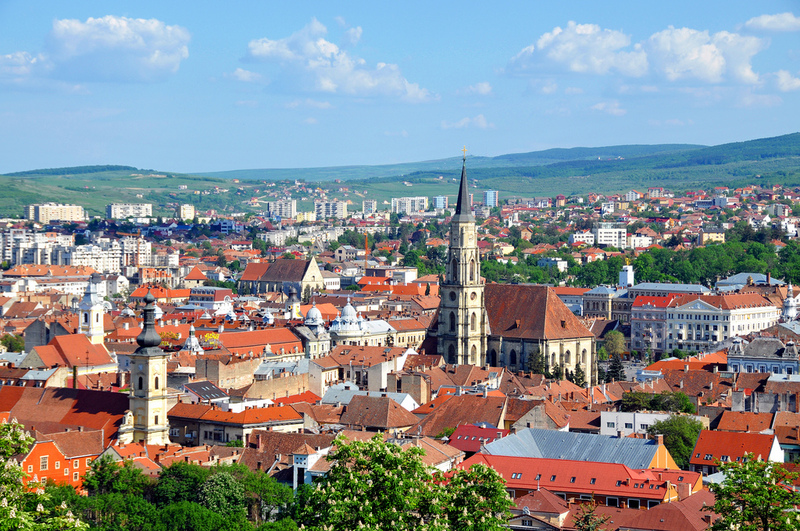 Situated in the Transylvanian province of Romania, the city of Cluj-Napoca has grown to become the second largest city in the nation. The picturesque landscapes that surround the city are one of the biggest attractors of the region which includes the Transylvanian Plain, Someş Plateau as well as the Apuseni Mountains. In the western part of the country, you will find the city of Timişoara situated along the southernmost edge of the Panonia Plain. Centuries ago, the city was built along the banks of the Timiş River, but after a dam was constructed on the river during the 18th century, the river is now nothing more than a small canal that runs through the city. 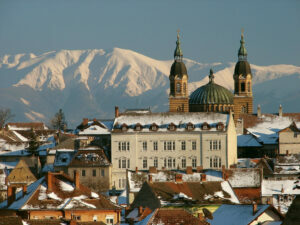 The city of Sibiu can be found along both banks of the Cibin River in the Transylvanian province of Romania. Situated in what is known as the Cibin Depression, there are a number of mountains which surround the city including the Lotrului, Cibin and Făgăraş Mountains. The area is also a popular skiing destination in the country. 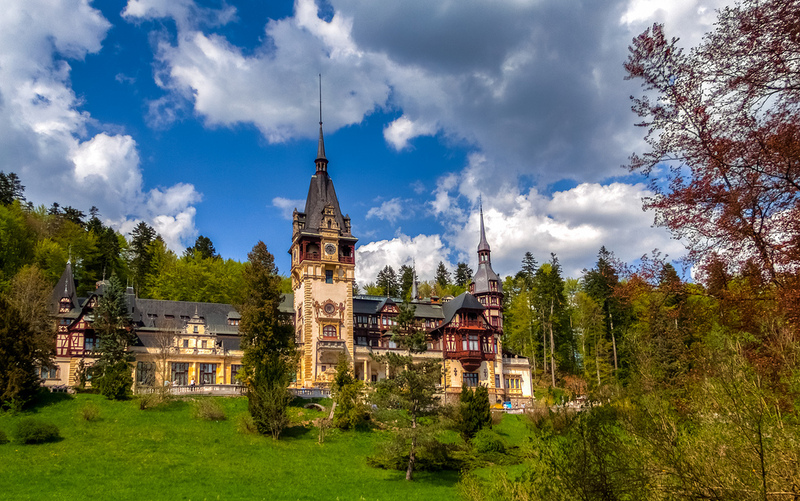 The resort town of Sinaia is a popular tourist destination in Romania. The town itself was built around the ancient Sinaia Monastery. Nearby you will find the Peleş Castle which was built by King Carol I centuries ago. There is hiking, biking and even skiing in the area. While home to many important landmarks, Sinaia is mostly known for its winter sports which have attracted countless travellers. The oldest city in the Romania is that of Constanţa which was initially founded back in the 6th century B.C. Situated along the shores of the Black Sea, the city has grown into one of the largest ports towns in the nation over the millennia. 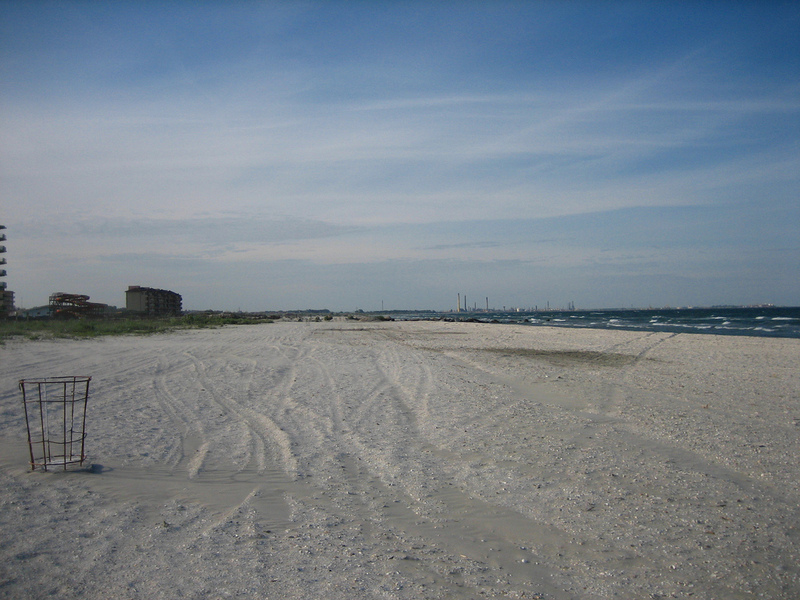 It is also considered to be one of the largest ports in the European Union. 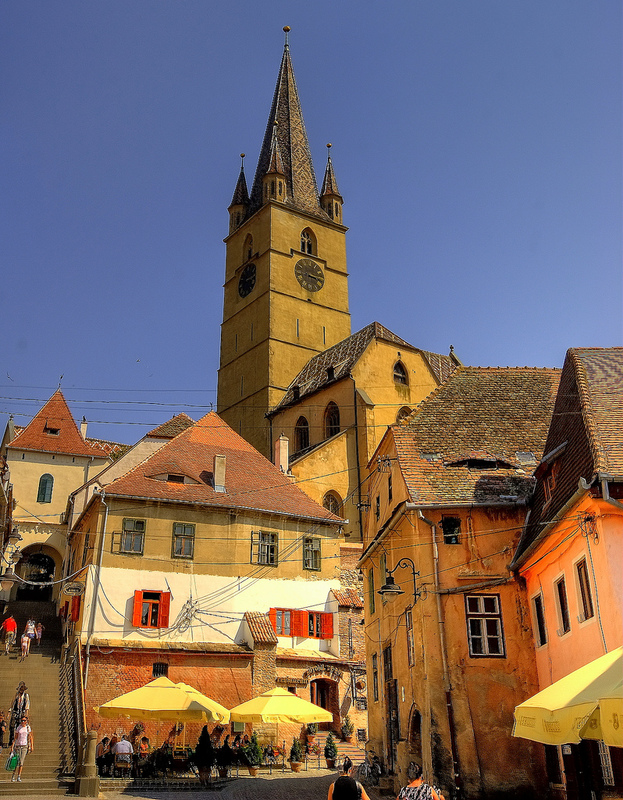 You will find the city of Sighişoara in the historic Transylvania region of Romania. Thanks to the very well preserved town center along with its fortified walls, the city has become an important tourist destination in the country over the years. The 13th century Clock Tower which stands over the city is 64 meters tall and houses the local history museum. 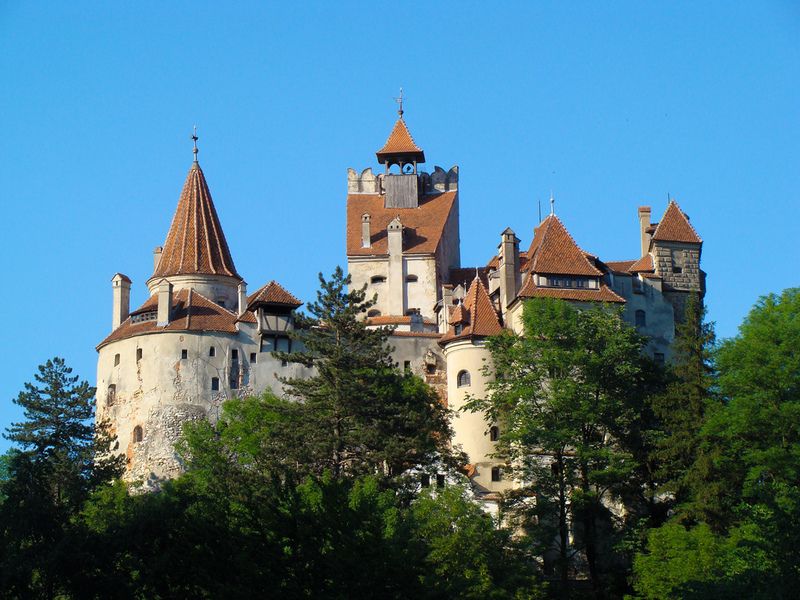 Situated just outside of the city of Braşov is where you will find one of the world’s most infamous fortresses, Bran Castle. It is here where the legend of Dracula began. Known all over the world as Dracula’s Castle, the historical building is now a museum which has had millions of visitors over the decades since the release of Bram Stoker’s Dracula. 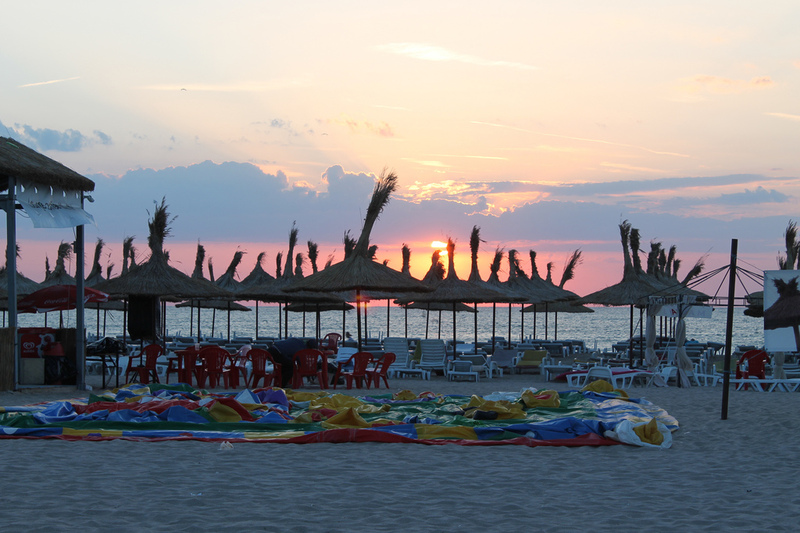 The resort town of Mamaia can be found along the shores of the Black Sea. Today it is considered to be one of the most popular summer destinations in the country. There are countless hotels as well as private clubs that can be found throughout the town; many of which have distinguished four and five-star rankings. The city of Iaşi is one of the largest in the country. It is a city of historical importance to Romania and is home to a number of buildings that date back to the 16th century. The second largest university in the country can be found in the city along with another twelve small universities. You will find the city of Oradea nestled snuggly in the valley that separates the Apuseni Mountains and the Crisana Plain. It is here where the Crișul Repede River flows through the country. The picturesque views along the river have made the area one of the more popular destinations in Romania. The resort town of Predeal can be found in the middle of the Prahova Valley which is situated more than 1,000 meters above sea level. It is an important holiday destination in the country with people making their way to Predeal for skiing in the winter and hiking in the summer months. There are many different species of plants and animals that can be found in the area that surrounds the town. One of the most popular skiing resort towns in Romania is that of Poiana Braşov. Situated at 1,200 meters above sea level, the town is a perfect starting point with access to many of the nation’s tallest mountain peaks. The tallest summit in the area is that of Mount Bucegi which rises to 2,505 meters above the sea. The city of Târgu Mureş is situated along the banks of the Mureş River. The 14th century fortified church which encompasses the historical town center of Târgu Mureş has attracted a number of visitors over the years. There are also a number of excellent sites of historical importance that can also be found throughout the city. 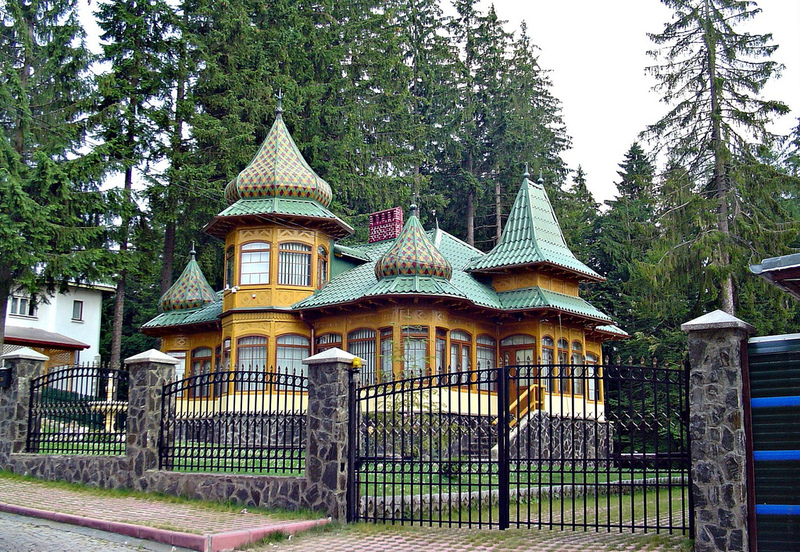 You will find the seaside resort town of Eforie situated along the coasts of the Black Sea. The town itself was first founded back on 1899 by Ion Movilă when he created the first spa in the area. Since those days, the town has flourished and continues to be one of the more popular destinations in the country. The city of Arad can be found nestled along the banks of the Mureş River. 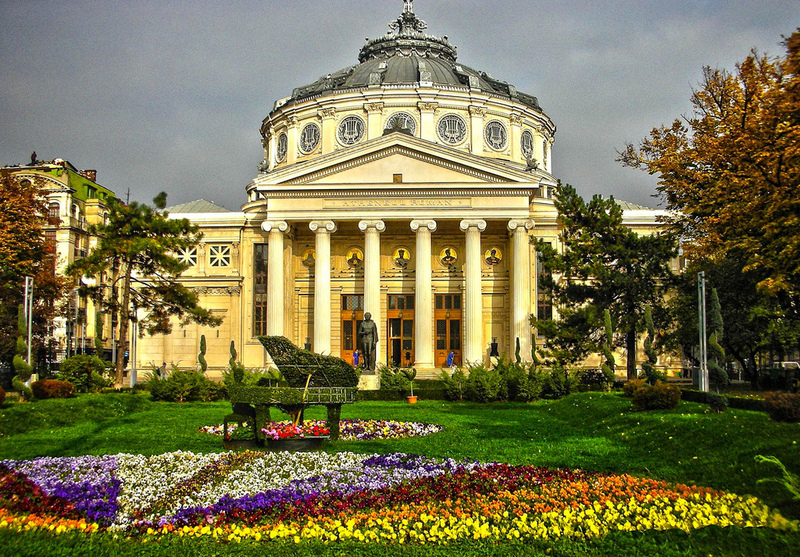 The city is the seat of the Romanian Orthodox Church and features a seminary university. There is also a training school for teachers that can be found in Arad. 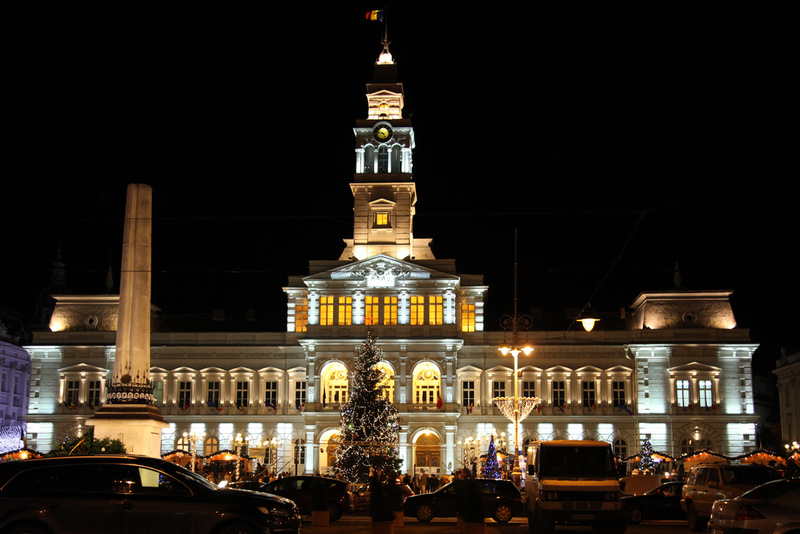 The city is an important industrial center in the nation and is a common stopping point for those visiting Romania. The small town of Buşteni can be found in the foothills of the Bucegi Mountains. Situated in the Prahova Valley the town is an important staging point for those who are making their way to the countless slopes along the 2,505 meter tall Bucegi Mountains. There are a number of fine resorts and hotels that can be found within the town. 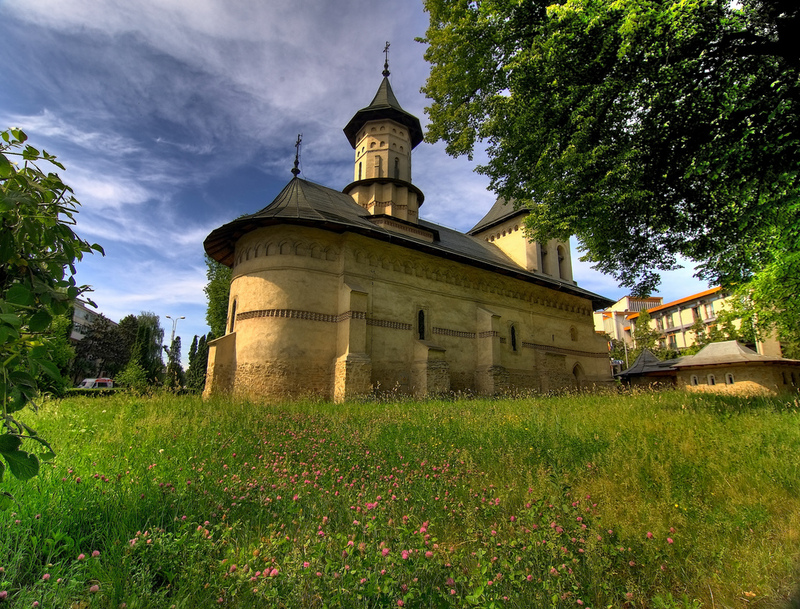 You will find the city of Suceava located in the northeastern part of the country. 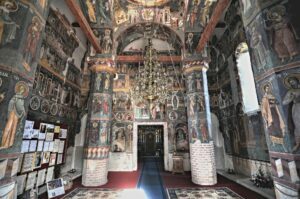 The city and the area that surrounds it have played an important role in the history of Romania and as such, there are countless historical sites that can be found throughout the area. Some of the oldest buildings in Suceava date back to the 14th century. 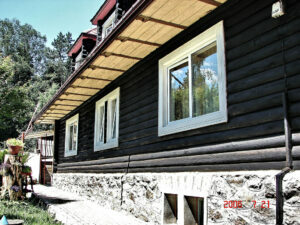 Located in the Cerna River Valley, the town of Băile Herculane is a popular spa destination in Romania. Since the Paleolithic Era the area that surrounds the town has been inhabited. There are many archeological sites in the area; the most popular of which is the Cave of the Thieves which dates to the Mesolithic Period. During the Roman Era, the town was home to one of the most well-known spas in the empire. I am Romanian and I was totally surprised to see that, along with some representative photos of important places of my country, your site chose a few shockingly uninspired immages of locations to visit in Romania. For example, the photos you picked up to ilustrate Cluj, Sighisoara, Busteni and even Bucharest, but also others, are likely to reject, not to attract tourists. This, inspite of the real beauty and fascination of these places. If you are really interested in recommending tourist detinations to your customers, please change the photos on this site. And please hire a better consultant for selecting your pictures.